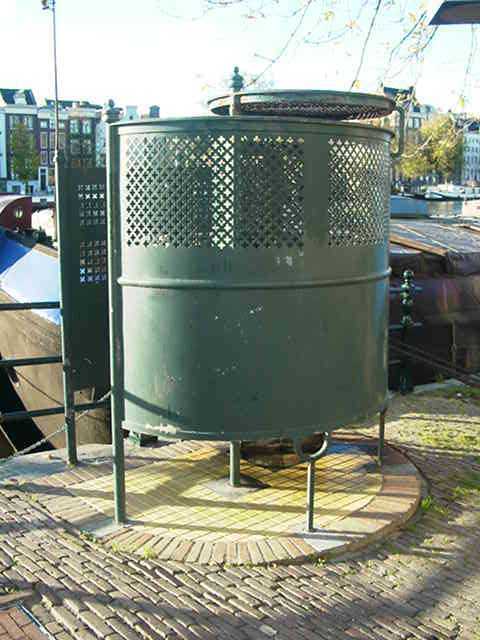 This type of outdoor urinal installation is common throughout Amsterdam, Holland. This particular one is located on the Amstel canal, near "the famous historical Magere Brug ('Skinny Bridge')". This picture was submitted by an independent contributor. He writes: "Amstel is a wide and busy canal leading into the centre of Amsterdam.... There are still a few dozen of these metal urinals in function at various busy locations in the centre of Amsterdam. These particular urinals are nicknamed 'krul' ('swirl') because of their elegant round shapes. They can be accessed through the entrance on the left side and are to be used by one person at a time. 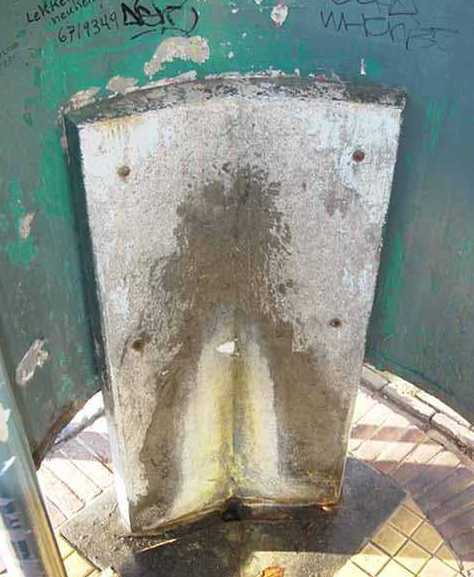 Conveniently equipped with solid metal walls, vandal proof concrete troughs and a roof right over the actual urinal to keep rain out, they have provided a welcome relief in the Amsterdam city centre for well over a century." This is what this installation looks like from the inside.